Our employer brand. Make it happen. Our world is changing fast, our businesses are constantly evolving. The transformation from a Telco to a digital company with the opportunities it brings, is the big challenge of our time, also for a team of around 19.000 passionate experts in our footprint. So we constantly challenge ourselves, the team and the organization to empower digital life for our customers and the society. An open culture supporting collaboration, a „can-do“ attitude and constant learning moves us forward. You have the freedom and empowerment to bring in your individual talent. You can contribute to this new world of unlimited possibilities. Shape the experience YOU want to live! As a company, we have a lot to offer and a bright future ahead. This is our motto – the one we tell each other, ourselves and in our external communication. to make the things you want to happen actually happen. With YOUR CONTRIBUTION you realize the larger-scale goals within our company. Through YOUR PERSONAL DRIVE you realize your own personal goals. In this sense, “Make it happen” means: make your individual and our common plans come true. Note that “Make it happen” has the connotation of “Get going!” or “Do something!” – supporting every team member to bring out the best of her/him due to individual strength and assets. While we do wish to push each other to go the extra mile, the emphasis of our Employer Brand Slogan is on creating new solutions, trying out new things and make things happen. Let’s turn visions into realities, together! 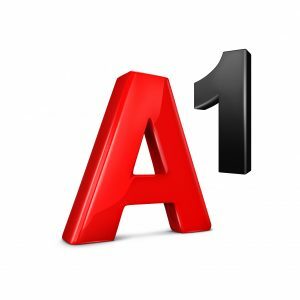 Our A1 company vision and purpose is “Empowering digital life”. A digital life for everyone. A “can-do” attitude and constant learning. A1 is a great place to work. Great work and great customer experiences. Team spirit & international collaboration. Welcome to our great brand. Only together we can make it a success!